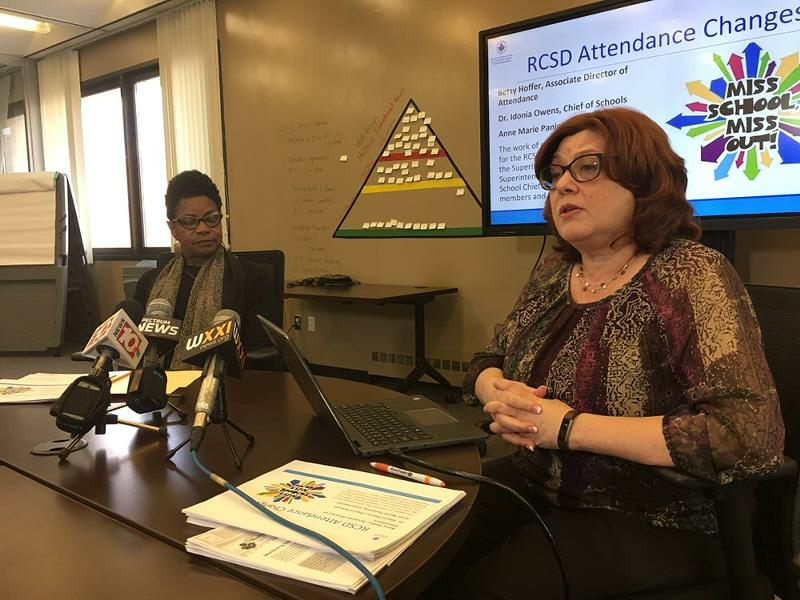 Rochester city school district officials say they have taken steps to improve attendance-taking over the course of the past year. At a press conference Tuesday afternoon, officials said the district hired 10 employees last year to work in the attendance department. Those employees work out of a call center located in the district's main office and each day they call the homes of students who have been marked absent. Between April and June of last school year, the employees averaged 1,000 calls to homes each day. The changes were made in response to the tragic death of Trevyan Rowe. The 14-year old School 12 student got off the bus on the morning of March 8, but never entered the school building. 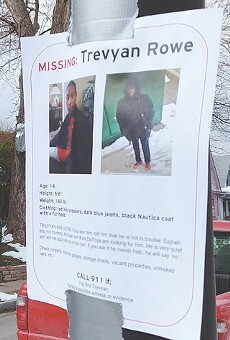 His absence went virtually unnoticed until later in the afternoon when he didn't return home and his family went to the school looking for him. His body was found days later in the Genesee River. 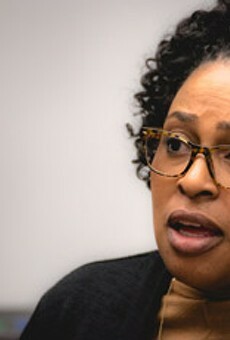 Education Commissioner MaryEllen Elia and New York Attorney General Letitia James released a report today slamming the district's sloppy handling of attendance and failures to address Rowe's mental health needs. Attendance taking was made a higher priority and procedures were tightened, according to school officials. For instance, instead of taking attendance in the first hour of the school day, it's now taken in the first 15 minutes for elementary grades and the first 15 minutes of each class in secondary grades. Robocalls used to go out later in the day, and now they begin during the first hour of the day. And starting this school year, officials began using emails, text messaging, and social media to contact families. The district also hired 25 attendance home school assistants who go to student homes when phone calls and Robocalls fail to reach someone. The assistants work with parents to determine why the student isn't in school. Betsy Hoffer, RCSD's associate director of attendance, said there are many reasons for chronic absenteeism: medical and mental health problems, transportation, and homelessness, to name a few. An estimated 1,000 city school students are homeless on any given day, Hoffer said. Disciplinary actions are taken when teachers or principals aren't compliant with the new procedures, including timely record-keeping, Hoffer said. The district has also developed a new policy and a set of procedures for students who wander away from the classroom or the school. School administrators assign staff to observe and monitor specific students who have a history of wandering. And when a student is missing, a crisis message is sent to all top level school administrators, including the superintendent. Though the changes in attendance were driven largely by Rowe's death, district officials would not answer any questions concerning the incident — or the state's report on it — due to ongoing litigation.